Great leaders are great learners. They would learn so much from honest feedback from their staff – if only staff would give it! Getting and learning from feedback isn’t always easy, but it’s necessary if you want to be the best leader. Most staff are afraid of negative repercussions if they give honest feedback. They are afraid it will damage their relationship with their manager, that they may be given the tasks no-one wants to do, that they may not get the salary increase or promotion they were looking for. How you ask for honest feedback and how well you receive it will impact your reputation as a leader. Here are four tips for getting the feedback you need in order to be great. Asking “what feedback do you have for me?” rarely gets a useful response, as it is too general. When employees do give honest feedback, their leaders often excuse their behaviour or deny it. If you debate, you look defensive and not open to feedback. You decrease the likelihood of the person giving you feedback in the future. If you find yourself disagreeing with some feedback, practise self-awareness and notice your reaction. Instead of responding with a defensive statement, start with “Thank you for sharing your views Sarah. Please tell me more about…..”. Our clients have found this to be a fabulous “pseudo-question” for helping them to manage their emotions and to find out more. They stay in the conversation rather than shutting it down and therefore increase what they learn as leaders. Remember that there’s asking, and then there’s asking! 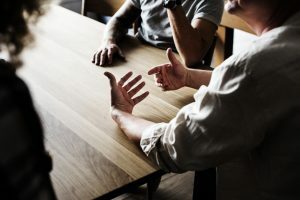 If you are asking to learn more so that you can improve as a leader, you must be mindful of your tone and facial expression.Your tone must be neutral and convey curiosity, not abrupt and convey a “prove it to me” attitude. If your eyes frown and convey resistance to the person’s feedback, it is highly unlikely they will continue an honest conversation. They are much more likely to “play down” their feedback by saying something like “well, it’s only happened once, you’re not usually like that and you were under a lot of pressure that time”. Often leaders feel frustrated that their staff are hesitant about giving them honest feedback. Yet they rarely give honest feedback themselves! They have sometimes given negative feedback or constructive criticism and received a defensive or aggressive response. This is not pleasant and results in the leader avoiding giving such feedback again. Instead, they do “work arounds”, or convince themselves that the person’s good qualities compensate for these negative ones so they can just “let it go”. There is a technique for giving honest feedback that is constructive rather than negative. 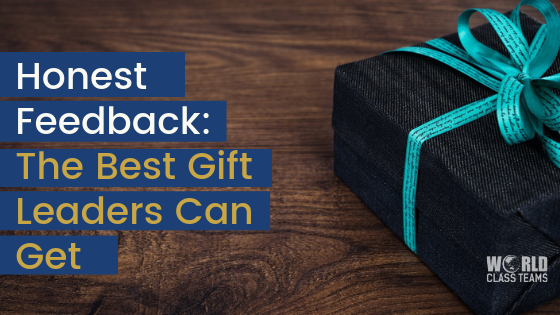 Great leaders learn this technique, so that they model giving the kind of feedback they would also like to receive. The type of feedback that lets them be the best leader for their team. How many times do you respond with a statement rather than a question? Watch yourself in pressure situations. Listen carefully to your tone of voice. In pressure situations, does it tend to convey disapproval, disbelief or curiosity?